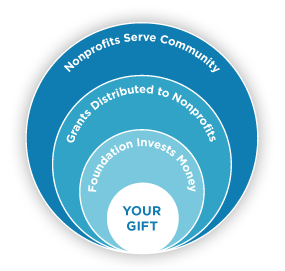 Nonprofit organizations serve the community needs. The Cleveland Foundation made 3,131 grants of all sizes in 2011. In the accompanying charts and lists, you can see where these funds originated and how they were distributed. With each grant we make, we aim to be faithful to the community's philanthropic needs. Dialogue with our community's nonprofits is critical to understanding those needs and determining our response. The local nonprofit sector has many dynamic leaders who give us the benefit of their expertise, often alerting us to trends among their constituents that signal a broad-based problem in need of attention. In one recent example, these leaders' experience with entrepreneurs lacking access to capital spurred development of a robust microlending initiative. We see tremendous potential in this program, which exists because so many public, private, and nonprofit partners joined together to create opportunity. Helping a great idea gain traction is one of the most rewarding aspects of our work. We are grateful for the insights our partners share with us and the collaborative spirit they display as we press forward together.